Please enjoy the relaxation of the wide bed. Spend a relaxing time in our hotel rooms with 22 square meters in a single room and 120 cm in semi-double beds, with a top class area in the area. ◆In our hotel, we arrange Made in Nippon Coil Ceremony Wide Head of 120 cm in width in all rooms. ◆Boasting the largest area in the district, the 22 m² single room can afford a relaxing time. 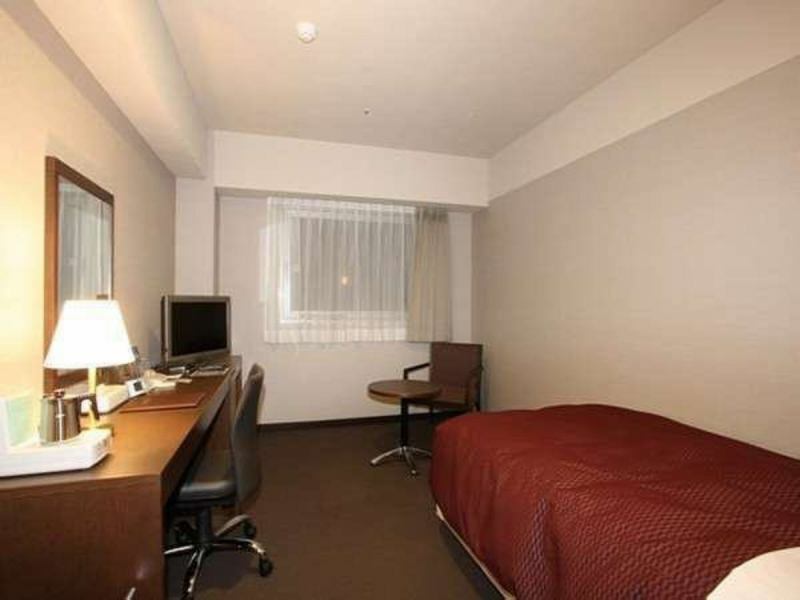 ◆All rooms are equipped with wireless LAN.You can use it very convenient for sightseeing in business. 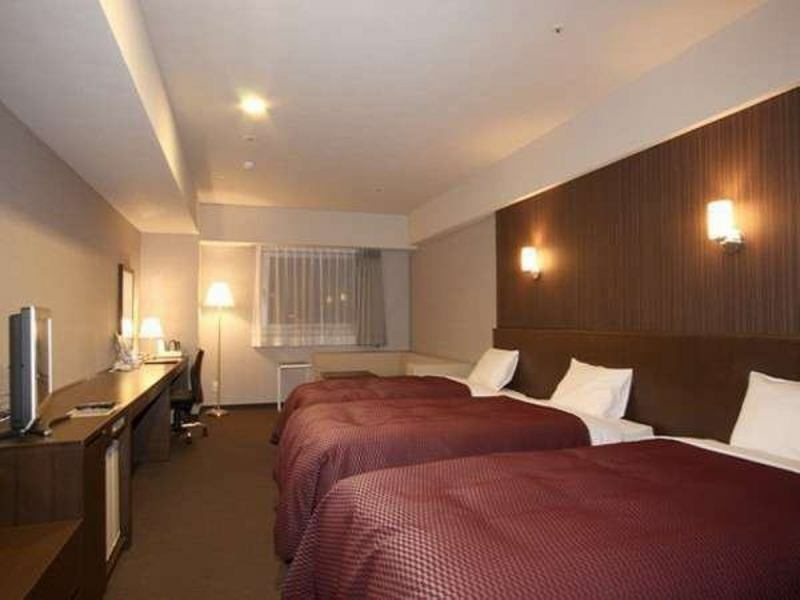 You can relax in a semi-double bed (bed width 120 cm), which is unlikely to be a business hotel. 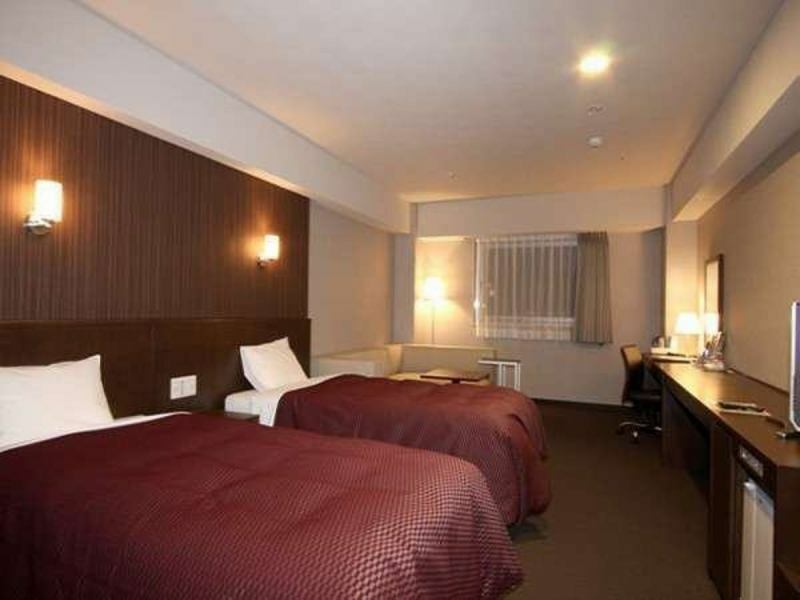 A double room (bed width 160 cm) usually for 2 people can be used by one person. It is a large space room that also serves as a triple room.A spacious sofa is also attractive. It is a loose bed with a bed width of 160 cm. 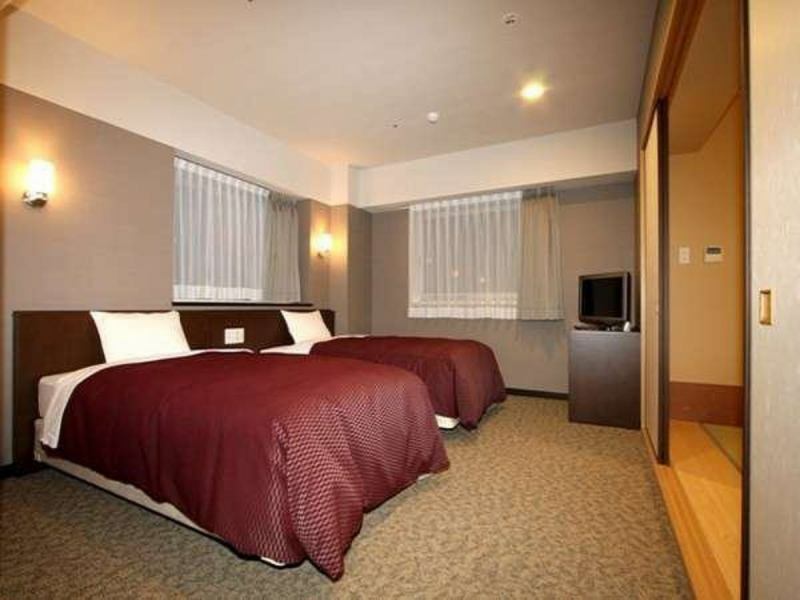 10 sq.m.It is perfect for customers that Japanese rooms settle down after all.There is a feeling like a ryokan though it is a business hotel. 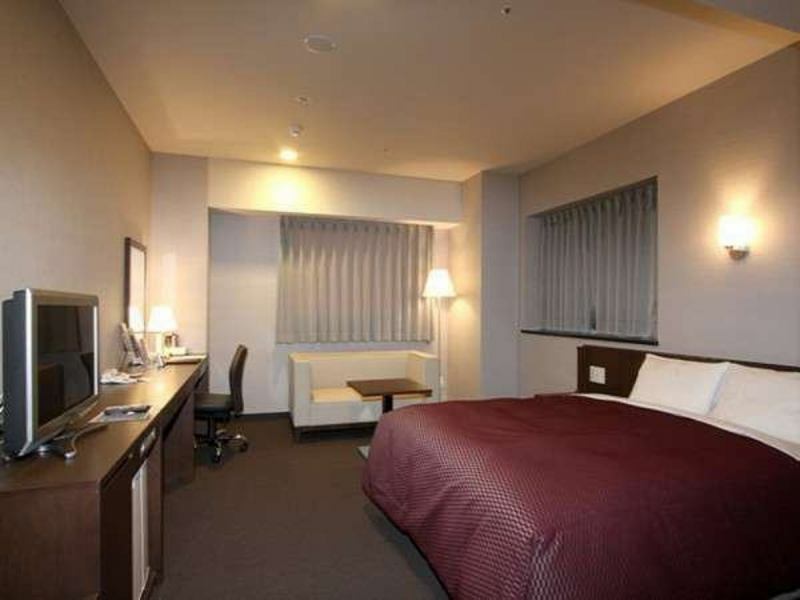 Room with twin room with coiled bed (bed width 110 cm) added.Sleepiness is totally different from other beds. It's like a suite.It is located in a corner room and the view is also the best.It is a push room where you want to stay longer. 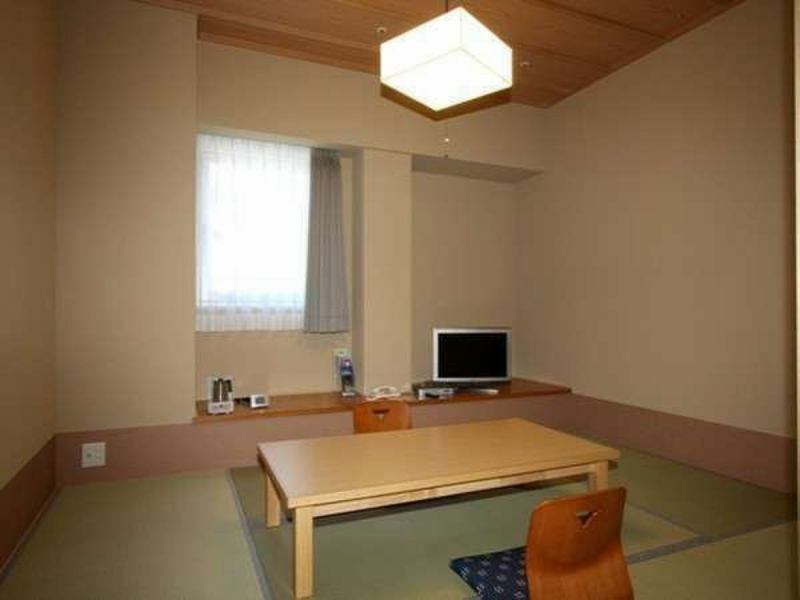 10 square meters in Japanese style room, Japanese + Western style room with 10 square meters plus twin bedroom. Because of the optical fiber, you can enjoy the Internet comfortably.